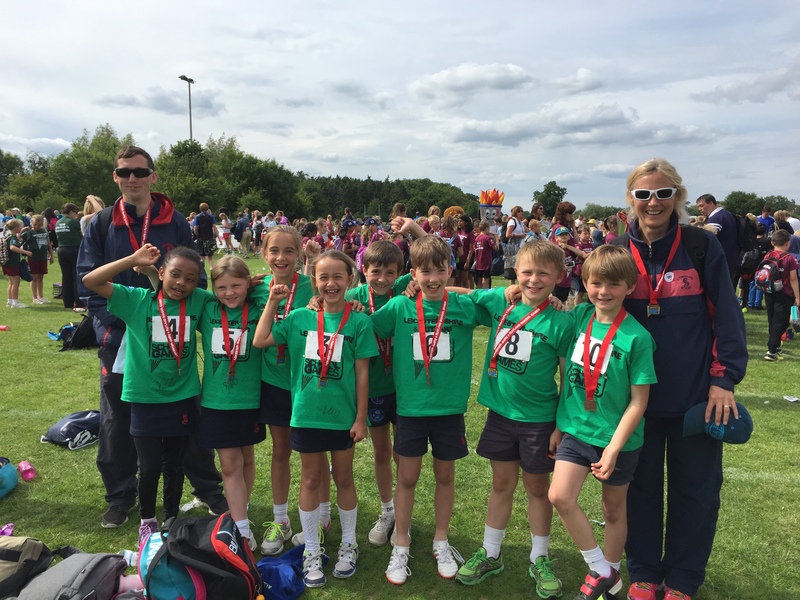 A team of Stoneygate year 3 and 4 children won the area athletics competition on Monday and qualified to be part of the Harborough and Blaby team at the County Championships on Wednesday. This was a huge and very exciting event with nearly 1,000 competitors, opening and closing ceremonies and a talk by an Olympian. 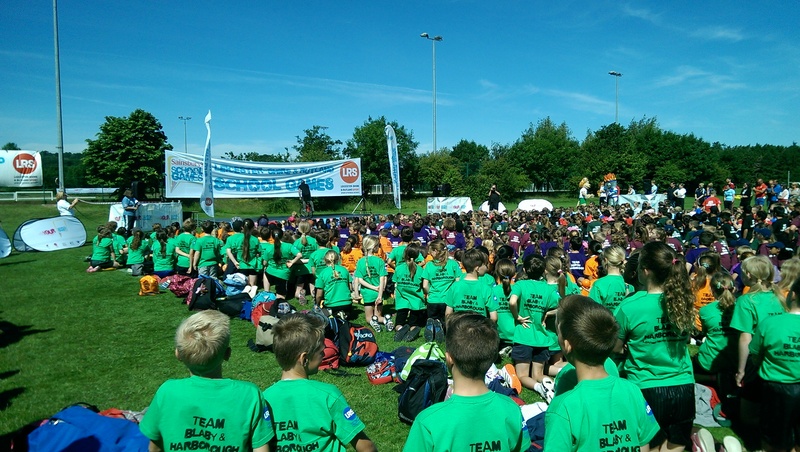 The Stoneygate children competed in the quad kids athletics and each child took part in a sprint race, 400m race, howler throw and long jump. 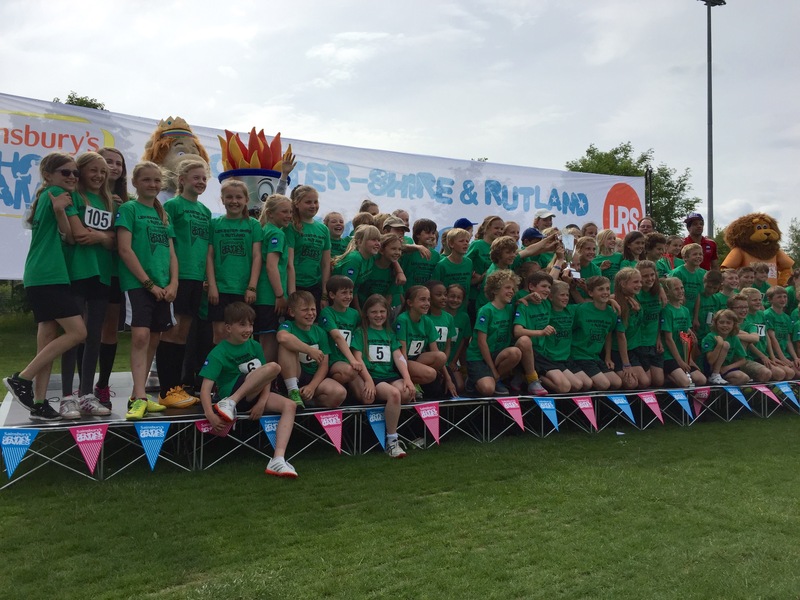 Stoneygate came 3rd in the athletics and the Harborough and Blaby team won the overall County Championships. The year 4 girls had their last rounders match against Wellingborough yesterday. The team: Eliza(Captain), Millie, Gizella, Joanna, Ivana, Amy, Tasia, Evie and Alice (yr 3). The girls chose Eliza as Captain as it was their last match together and Eliza was delighted. Stoneygate batted first and scored 4.5 rounders in the first innings. Wellingborough managed to just score 2 when they came in to bat due to some tight fielding from Amy and Joanna. During the second innings Stoneygate scored a further 10 rounders, with full rounders from Evie (3), Millie (2) and Ivana (1). It was a big score to chase but Wellingborough went for it scoring 8 rounders from some excellent batting. Amy, Evie, Alice and Ivana – the winning girls relay team, who go on to represent the Harborough area at the Leicestershire and Rutland School Championships tomorrow. The year 3 and 4 boys team Harris, Freddie, William and Harry T also made it to the Championships. Good Luck to them all tomorrow. 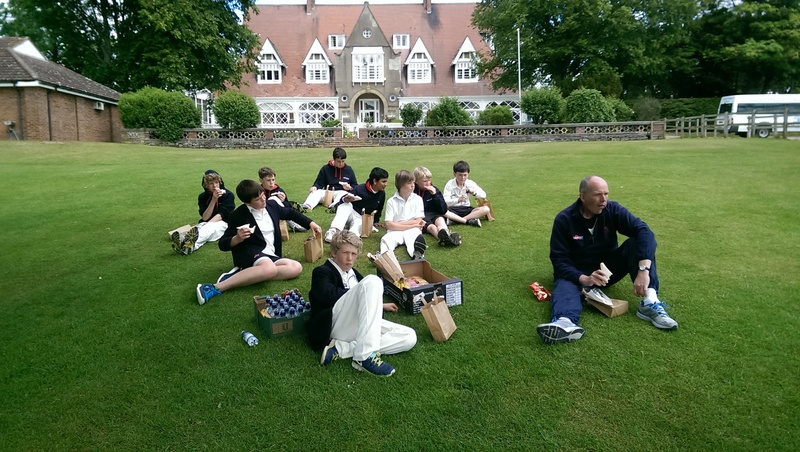 Last week Stoneygate took a team of Year 8 boys and Archie G on cricket tour to Yorkshire. Days 1 and 3 were the cricket match days and day 2 was a day of outdoor activities. Sadly our cricket match at Casterton Prep School was cancelled due to rain, but our match against Cundall Manor School, just North of York, certainly made up for it. The team: Tej (Captain), George, Phillip, Archie, Pip, Miles, Spencer, Seb and Patrick. Cundall Manor won the toss and decided to bat first. Their first two pairs batted well and the scoreboard was looking very favourable for them until George came in to bowl and took 3 wickets off one over. He went on to take 2 further wickets and received the match ball. Phillip was fabulous in the field, catching 3 people out, one of which was an awesome catch. Miles fielded well, Pip bowled well and Tej was strong as wicket keeper. Stoneygate were chasing 312 which was certainly achievable. The first pair faced a good pace bowler from Cundall and sadly lost 4 wickets, which put the pressure on somewhat. 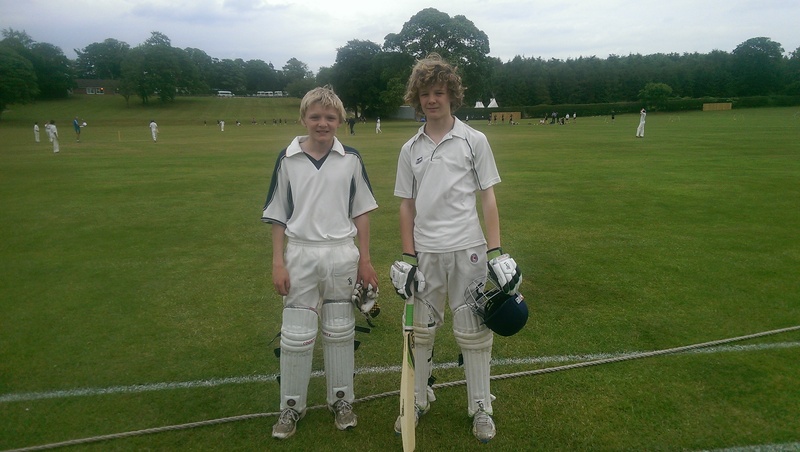 Philip and Spencer held their own only losing 2 wickets with Phillip batting beautifully and finding the boundary. 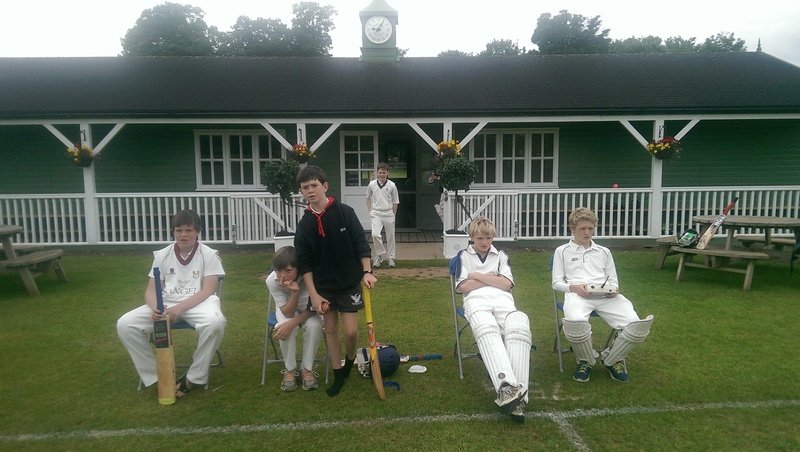 Archie and George came in with quite a task and could not afford to lose any further wickets. Steadily and carefully they knocked out the runs with plenty of boundaries and 312 was looking achievable again for our last pair, Seb and Patrick. The Cundall boys were very sharp in the field and the match was to be decided on the last ball!! Seb was facing and needed 4 to draw or a 6 to win. He went for the win and hit the ball high into the air. It looked like Stoneygate had won, but a Cundall fielder caught the ball right on the boundary! A very exciting match and well played to all the boys. A huge thank you to Cundall Manor School who were extremely hospitable. On Wednesday 20th May the U10’s played away at Laxton. The score was 21.5 to Laxton and 18.5 to Stoneygate. Laxton were good at fielding and batting so we had to focus. Everybody tried really hard to get them out. Milly played really well. Hattie had a good game at backstop and Daisy was consistent at batting and fielding getting many players out. We played well as a team and it was a close match. Special mention goes to Milly B and Hattie. Player of the match goes to Daisy. The team: Jemima (Captain), Milly B, Hattie, Daisy, Tallulah, Katie, Polly, Millie L, Eleanor and Annie. Wednesdays match against Wellingborough was a tough one. All the U10 Stoneygate girls played against a strong Wellingborough A team. During the first innings Wellingborough batted first and scored a very impressive 13 rounders with some excellent big hits leaving Stoneygate in disarray in the field. Special mention should go to Millie B, Katie and Daisy who caught 3 people out. We responded with 8 rounders, 3 from Millie B, 3 from Hattie, 1.5 from Daisy and half from Annie. We went into the second innings aiming to improve are fielding skills, particularly throwing and catching accurately. It worked, and the girls held Wellingborough to 5 rounders. Hattie was particularly strong in the field along with Tallulah and Jemima (Vice Captain) and Katies bowling was very strong making it difficult for their batters. Tallulah made an excellent catch at mid deep. We followed that up with 5 rounders, 1 from Millie P (Captain), 2 halves from Jemima, 2.5 from Hattie and half from Millie L.
The girls should be proud of themselves for drawing with a strong Wellingborough team in the second half and we will continue to practice our fielding and decision making skills. Player of the Match was Hattie and special mention went to Jemima. 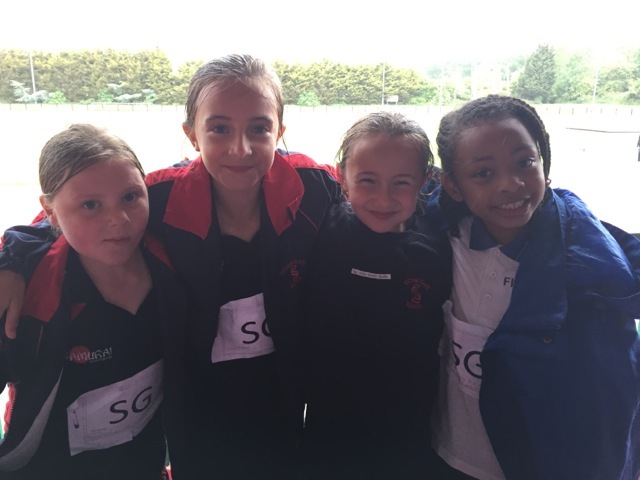 The year 3 girls had a great game of rounders on Tuesday against Stamford. This was the first match for both teams and the girls were very excited. Stoneygate batted first and they sprinted off to a great start with 4 rounders. We then fielded well and Stamford scored 1. During the second innings the girls were very confident and scored a further 5.5 rounders and Stamford replied with 1.5. Very well done to Mia who bowled beautifully, Roisin and Phoebe for their work at backstop, Alice for scoring 2 full rounders and holding fought at 2nd post, Daisy for stumping 2 girls out at 3rd and Tabitha for fielding securely. Special mention this week is for Isobel who was the highest scorer with 1 full rounder and 3 halves.